Jan. 23, 2015, 9:09 a.m. Jan. 23, 2015, 9:09 a.m. 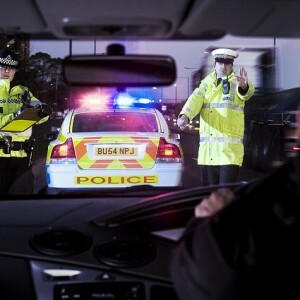 The current English drink drive limit is 35 microgrammes of alcohol per 100 millilitres of breath – which is confusing enough as it is before you begin to consider what factors, other than alcoholic drinks, can affect your blood alcohol content. As such, Insurance Revolution has put together this simple guide of what factors could lead to a positive breathalyser reading if you are pulled over by police. Mouthwash – Some mouthwashes and breath fresheners contain quite high levels of alcohol and can therefore skew breathalyser results. Many alcohol-free options are available, so it is well worth checking the bottle before you buy if you drive regularly. Asthma Medication – While some asthma drugs are directly inhaled, others are chemically propelled into the lungs. As breathalysers are designed to determine the amount of alcohol in the breath that has come from the lungs, chemically propelled asthma medication can provoke a false breathalyser reading. As such, asthma sufferers are advised to inform police of their condition before a test is administered. Food – Although it was long thought that all alcohol added to dishes burned off during the cooking process, research has now shown that foods do contain alcohol following most cooking processes. Meat in particular is thought to contain around 85 per cent of the alcohol content after cooking. Acid Reflux – The condition can lead to the presence of ‘mouth alcohol’, which breathalysers can mistakenly pick up as alcohol exhaled from deep within the lungs. 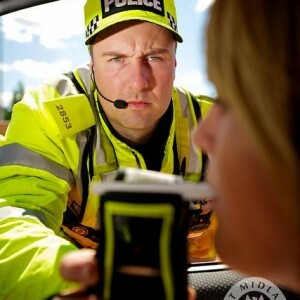 Like asthmatics, acid reflux sufferers are advised to inform police of their condition before taking a breathalyser test. Hypoglycemia – Hypoglycemia causes acetone in the breath and acetone is one of main causes of false BAC readings. Hypoglycemia can further cause symptoms similar to being drunk, such as dizziness, clumsiness and confusion. As such, those who suffer from hypoglycaemia are strongly advised to inform police of their condition before undertaking a breathalyser test. Low-carb diets – Like hypoglycemia, low-carbohydrate diets have been known to produce acetone – which can lead to a high breathalyser reading. Age – Alcohol is thought to have a great affect on us as we age. Gender – Because alcohol is highly water soluble and women are generally thought to have a lower body water content than men, alcohol can affect women more quickly than men. Of course this is just a guide and entirely depends on the man or woman in question. Rate of Consumption – The faster you drink alcohol, the faster your blood alcohol content will rise, particularly if you do so on an empty stomach. Body Weight – As a rule, the greater your weight, the greater the water content you have in your body, which can therefore absorb more alcohol than a smaller person before reaching the BAC limit. Again, this is only a guide. Metabolism – People’s metabolisms function at different rates, meaning some people’s bodies process alcohol quicker than others. Emotional state – If you are stressed or upset, it can cause your body to divert blood from your stomach and small intestine to your muscles, slowing the rate that your bloodstream absorbs alcohol. However, when you calm down, your BAC can often dramatically surge.